Ecessa is a networking technology manufacturer focused on making business wide area networks of all sizes run better. Our approach focuses on making your clients happy by working with you every step of the way, from discovery calls through deployment - and subsequent network expansions. Our secure SD-WAN appliances for automatic failover and load balancing ensure greater reliability, full bandwidth utilization and redundancy for uninterrupted business operations. Today, with so many business critical applications running "over the internet" and "in the cloud," organizations flat out can't afford outages or bad service. You can deliver vastly improved service and peace of mind to clients by bundling more than one telecom link with an Ecessa controller. No more outages. No dropped VoIP calls. No angry clients. We give you the three Rs: resilience, redundancy, residuals. The Ecessa product line consists of three basic controller models with varying capacities up to 20G. Ecessa Edge™ is our channel-exclusive SMB product. All the best Ecessa features scaled - and priced right - for small businesses. We know every organization that connects to the Internet or uses hosted VoIP and cloud apps needs network redundancy and resilience - but many small businesses aren't loading up on bandwidth or looking for a complex solution. Ecessa Edge us perfect for them. You provision up to three ISP links, and for $50 a month (plus one-time acquisition fee) Ecessa Edge makes the magic happen. Chock full of features that mean no more panicked calls about "the network is down," no more dropped calls, no more sluggish apps. Learn more at info.ecessa.com/partners-edge. PowerLink™ is the popular model known and loved by over 10,000 users. It aggregates multiple (up to 25!) WAN lines (T1, DSL, Cable, fiber, ISDN, wireless, LTE, satellite, microwave, you name it) into a greater pool of available bandwidth while providing business continuity through ISP failover and redundancy. It optimizes application performance by prioritizing and managing traffic among links to avoid jitter, latency and congestion. PowerLink also has a built in basic firewall and VPN capabilities for network security. WANworX™ is the big daddy of our product line, built for organizations with multiple locations or that cannot tolerate any network interruptions or packet loss. It uses software defined network features (SD-WAN) to seamlessly connect all of a business' locations, plus it connects to Internet and cloud-based resources. WANworX allows network engineers to strategically design wide area networks, add links, add rules, add security, and not shy away from complex multi-layered networks that will accomplish their performance goals. And Ecessa system architects help every step of the way to ensure success. How can we help you generate leads, close sales and build up your happy customer base? By providing one of the best WAN link controller lines in the world, backed by a service team known for its responsiveness and excellence, and a sales team that has your back. You sell more carrier and cloud services, VoIP and UCaaS, we make them run better, your clients come back for more. We're a team. 0	jplist-folder-All-Posts-584 jplist-folder-Featured-587 Video-Video	jplist-topic-DNS jplist-topic-Ecessa	1	12/13/2018 12:25:12	Authoritative DNS is a must for any organization hosting web services for remote employees, subscribers or application users. Here are a couple of tips to ensure your customers' network resources are always available: Provision redundant ISP links (because any given ISP will suffer outages) Deploy an Ecessa device to handle external DNS requests and direct them to an active link For an explanation of how authoritative DNS works to keep apps and data always available, please take 2 minutes to watch this video. 1	jplist-folder-All-Posts-584 jplist-folder-Featured-587 jplist-folder-Blog-585 Blog	jplist-topic-Ecessa jplist-topic-SD-WAN jplist-topic-Siegler	1	11/15/2018 16:11:03	I had the pleasure of attending the Gartner Symposium & IT Expo and Channel Partners Evolution last month. The experience was enlightening and energizing. Both conferences shed light on macro changes in technology and the future of our industry. Below, I share some of my thoughts and insights. For me, a big standout today is the overall need for continuous, ubiquitous access to the Internet, and more importantly how the need for data is continuing to grow. “AI” Defined as Artificial or Augmented Intelligence, AI is permeating every business. Much like the Internet of Things (IoT) movement, this technology is changing how businesses operate, market and sell products; from dynamic flight costs (depending on who’s looking and when), to how much a hamburger and fries cost (based on what method used to purchase), AI is impacting all of us in a very real way. Domino’s Pizza, for example, has leveraged mobile app technology and AI to create a competitive advantage in a crowded space. I recently heard someone say that Domino’s Pizza is a technology company that sells pizza. Now that is a big shift. How do businesses use this powerful AI technology? First, you need data – relevant, actionable, clean data. Next, you need fast, ubiquitous access to that data. Lastly, you need smart, finely-tuned algorithms for your business to make sense out of the noise (these back-end analytics are the real magic). Mix it all together and couple that with a fresh, easy-to-use interface for your customers, and you are on your way. In our space, new call center applications fueled by AI are rapidly changing legacy environments into high-tech dashboards. These applications allow call center representatives to know information about the customer – what services they use, the prices they pay, what tickets they’ve opened, whether or not they are happy. All of this information allows the representative on the line to provide fast, reliable and accurate service to the customer. Customized, personal and real time…a game changer for customer service. “SECURITY” Security is, of course, paramount today. We must protect data while we use it to build on customer satisfaction, maximize profits and establish a reputation as a savvy digital business. If you lose your customers’ trust, it’s over. Security needs to be the cornerstone of your business; keeping customer, client, or patient data secure is now a tenant of good and standard business practice. For Ecessa, security is much more than just a static firewall. Security is protecting all digital asset types at all times. We ensure multiple layers of security are present for every aspect of our customer businesses and their corporate networks. “AGILE” Another common theme that emerged was the need for organizations to be flexible. In other words, they need to be adaptable, creative and agile. Many of us have come across the term agile before – a software development methodology where tasks are done in sprints, and an epic is more than just a great literature novel – applying this philosophy to business practices is tougher than many would imagine. Making use of AI, providing exceptional security and reinventing your customers’ experience takes bold, visionary steps forward with agile processes and thinking. This reality was exceptionally presented by Mike Harris, executive vice president and global head of research at Gartner. Harris said now is the time for organizations to be more adaptive to change. He introduced the ContinuousNEXT approach for leaders to bring in new practices, develop new capabilities and create new ways to succeed. Read Gartner’s news release about ContinuousNEXT that explains each of these imperatives. Take a listen to my recent interview that was recorded at the Channel Partners Evolution Conference. We discuss the state of SD-WAN technology in today’s market, and how to sift through some of the confusion around the technology and its capabilities. You will hear how Ecessa’s approach is focused, agile and flexible – with customer success and protection at the forefront. Listen Now “Ecessa’s Pledge” In the end, it takes a trusted partner and a flexible, experienced organization to deliver and get things done – that’s Ecessa. Our heritage, experience and longevity ensure success. With nearly two decades of successful SD-WAN deployments and delighted customers, we have earned trust. With boundless curiosity and talent, our engineers keep innovating and pushing capabilities to meet today’s needs and the anticipated future challenges of our customers. We’re here for the long run and look forward to enabling your business to tackle the demands of AI and other disruptive technologies – transforming your business and the experience for your customers. We are here to create Never Down™ technologies that run the networks of the future, today. Contact Ecessa at 800.669.6242 for more information or visit www.ecessa.com. This battle card includes talking points. 2	jplist-folder-All-Posts-584 jplist-folder-Featured-587 jplist-folder-All-Posts-584 Partner-Collateral-Partner-Collateral	jplist-topic-Netowrking jplist-topic-SD-WAN	1	11/17/2017 10:15:59	This battle card includes talking points. Includes network diagrams to show where WANworX fits in and detailed specifications chart. 3	jplist-folder-All-Posts-584 jplist-folder-Featured-587 jplist-folder-All-Posts-584 Data-Sheet-Data-Sheet	jplist-topic-Datasheet jplist-topic-Networking jplist-topic-SD-WAN	1	03/13/2018 09:51:34	Includes network diagrams to show where WANworX fits in and detailed specifications chart. 4	jplist-folder-All-Posts-584 jplist-folder-Featured-587 jplist-folder-All-Posts-584 Customer-Collateral-Customer-Collateral	jplist-topic-Firewall jplist-topic-Networking jplist-topic-SD-WAN	1	04/10/2018 14:45:49	Do your clients need a firewall or SD-WAN - or both? In this technology brief, we explain why both are needed - and not a combination unit that falls short on one technology or the other. Ecessa at Channel Partners 2019! Get a free expo pass! 6	jplist-folder-All-Posts-584 Video-Video	jplist-topic-Ecessa jplist-topic-Sdwan jplist-topic-webinar	0	03/07/2019 11:37:10	In Part 3 of the 2019 channel partner webinar series, Ecessa CEO Mike Siegler illustrates the benefits of SD-WAN technology through real customer stories. He also recommends selling tips to qualify and close more SD-WAN sales. 7	jplist-folder-All-Posts-584 Webinar--Recorded--Webinar--Recorded-	jplist-topic-Ecessa jplist-topic-Sdwan	0	01/28/2019 12:42:36	Part 2 of Ecessa's 2019 Partner webinar series on SD-WAN features value propositions for channel partners and their clients. Great tutorial for telecom agents and network technology sales teams. 8	jplist-folder-All-Posts-584 Webinar--Recorded--Webinar--Recorded-	jplist-topic-Ecessa jplist-topic-Sdwan	0	01/24/2019 15:50:43	In part one of this three-part series for Ecessa partners, CEO Mike Siegler comments on the current state of SD-WAN, market trends fueling the adoption of SD-WAN (like hosted VoIP, cloud apps and more), advantages of the Ecessa approach and products, where SD-WAN fits in a technology reseller's portfolio, and fields audience questions. 9	jplist-folder-All-Posts-584 jplist-folder-Blog-585 Blog	jplist-topic-Ecessa jplist-topic-Sdwan jplist-topic-Security	0	12/20/2018 16:41:24	2019 firmware revision plans include enhanced security, routing and cloud functionality Minneapolis, MN – December 20, 2018: ECESSA Corporation announced today plans for significant enhancements to its SD-WAN feature set to be included in 2019 firmware releases available to all Ecessa customers. The company has also reinforced its guarantee to provide 100% successful guided deployments for all customers. "Other vendors focus on their portals or demos – Ecessa focuses on guaranteeing successful deployments, regardless of the environment,” said Mike Siegler, CEO of Ecessa Corporation. “We take time to discover our customers’ needs, the inner workings of their networks and what success looks like for them. We then use a guided deployment process, whether for a new installation or an upgrade, that walks the customer through each step. We go the extra mile to make our customers successful, whatever they need. You won’t get this level of attention from any other SD-WAN vendor.” 2019 SD-WAN Feature Roadmap Full router functionality through the addition of BGP and Multicast features Enhanced security with Layer 7 next generation firewall with IDS and IPS capabilities Native cloud-based SD-WAN instances for Amazon AWS and Microsoft Azure, in addition to the product’s current VMware ESXi capabilities Improved application awareness with Deep Packet Inspection (DPI) Siegler continued, “In addition to guaranteeing success for our customers today, we are also constantly adding features and capabilities to meet their future needs. The 2019 roadmap is a result of customer requests, industry advances and competitive assessment. We are investing to meet the expanding needs of our customers.” Full details about Ecessa’s firmware enhancements, including other features, improvements, changes, fixes, security enhancements, known issues and work arounds is available upon release at: http://releases.ecessa.com. Ecessa customers with current SLA contracts can upgrade to new firmware releases for free. Instructions can be found on the Ecessa support portal at support.ecessa.com. 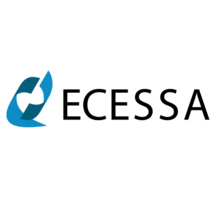 ### About Ecessa Corporation Ecessa Corporation, recognized by Gartner as a vendor of note, manufactures and distributes software-defined wide area networking (SD-WAN) solutions for business. Since 2002, the company has deployed over 10,000 field installations of Ecessa Edge™, PowerLink™ and WANworX™ controllers and enabled organizations of all sizes to reliably run Internet and cloud-based applications, connect offices worldwide and distribute traffic among a fabric of multiple, diverse ISP links, ensuring business continuity by removing bottlenecks and eliminating network downtime. These capabilities optimize Never Down™ performance of business-critical applications, aid in lowering IT costs and make it easier to provision, maintain and support business networks and the applications that run over them. For more information about Ecessa and its SD-WAN products, visit www.ecessa.com. SD-WAN Quick Facts The SD-WAN market is projected to reach $4.5 billion in 2022, according to International Data Corporation’s (IDC) latest SD-WAN Infrastructure Forecast. Gartner projects that by year-end 2023, over 90% of WAN edge infrastructure refresh initiatives will be based on SD-WAN solutions or virtualized customer premises equipment (vCPE) platforms. 10	jplist-folder-All-Posts-584 Case-Study-Case-Study	jplist-topic-Bank jplist-topic-Credit-Union jplist-topic-Finance jplist-topic-Sdwan	0	10/25/2018 09:23:35	PARDA Federal Credit Union, headquartered in Michigan, upgraded its network with Ecessa secure SD-WAN technology. PARDA uses virtual desktops and VoIP applications in its day-to-day operations, which were performing poorly on their MPLS network due to high latency. The new network configuration, using Ecessa's WANworX products, solved the latency issue by providing automatic failover and proactive congestion prevention for its traffic. Download the case study for details. 13	jplist-folder-All-Posts-584 Data-Sheet-Data-Sheet	jplist-topic-Ecessa-Edge jplist-topic-Failover jplist-topic-PowerLink jplist-topic-Sdwan jplist-topic-WANworX	0	07/12/2018 13:41:31	A quick guide to Ecessa SD-WAN and Failover products with case study links. Product comparison chart helps you and your clients select the Ecessa family that is right for their business needs. 17	jplist-folder-All-Posts-584 jplist-folder-All-Posts-584 Partner-Collateral-Partner-Collateral	jplist-topic-Networking jplist-topic-SD-WAN	0	11/17/2017 10:16:46	This battle card includes a simple network diagram to show where Ecessa fits in. If you would like to share this video with your customers, please use the following link. 19	jplist-folder-All-Posts-584 Video-Video	jplist-topic-Networking jplist-topic-SD-WAN	0	10/26/2017 14:34:56	If you would like to share this video with your customers, please use the following link. 42	jplist-folder-All-Posts-584 jplist-folder-All-Posts-584 Live-Webinar-Live-Webinar	jplist-topic-Education jplist-topic-Networking jplist-topic-SD-WAN jplist-topic-Technology	09/29/2017 0	09/11/2017 13:47:05	You're Invited! Recently, we conducted a survey asking our partners how we can assist you in selling Ecessa. We’ve taken that information and developed a three-part webinar series starting September 15, 2017 at 10:00AM CST. Whether you are brand new, or seasoned in the SD-WAN market, these webinars will educate you on how to qualify when Ecessa is a good fit, and how to engage our sales and support teams to build a final solution for your customer. This series will help you qualify more customers, close more deals and make more money! For every session you attend, your name will be entered into a drawing for an Amazon Echo! If you attend all three, you will receive an additional entry. Only one registration is needed for all three sessions. 43	jplist-folder-All-Posts-584 jplist-folder-All-Posts-584 Live-Webinar-Live-Webinar	jplist-topic-Education jplist-topic-Networking jplist-topic-SD-WAN jplist-topic-Technology	09/22/2017 0	09/11/2017 13:45:31	You're Invited! Recently, we conducted a survey asking our partners how we can assist you in selling Ecessa. We’ve taken that information and developed a three-part webinar series starting September 15, 2017 at 10:00AM CST. Whether you are brand new, or seasoned in the SD-WAN market, these webinars will educate you on how to qualify when Ecessa is a good fit, and how to engage our sales and support teams to build a final solution for your customer. This series will help you qualify more customers, close more deals and make more money! For every session you attend, your name will be entered into a drawing for an Amazon Echo! If you attend all three, you will receive an additional entry. Only one registration is needed for all three sessions. 44	jplist-folder-All-Posts-584 jplist-folder-All-Posts-584 Live-Webinar-Live-Webinar	jplist-topic-Education jplist-topic-Networking jplist-topic-SD-WAN jplist-topic-Technology	09/15/2017 0	09/11/2017 13:40:55	You're Invited! Recently, we conducted a survey asking our partners how we can assist you in selling Ecessa. We’ve taken that information and developed a three-part webinar series starting September 14, 2017 at 10:00AM CST. Whether you are brand new, or seasoned in the SD-WAN market, these webinars will educate you on how to qualify when Ecessa is a good fit, and how to engage our sales and support teams to build a final solution for your customer. This series will help you qualify more customers, close more deals and make more money! For every session you attend, your name will be entered into a drawing for an Amazon Echo! If you attend all three, you will receive an additional entry. Only one registration is needed for all three sessions. 45	jplist-folder-All-Posts-584 jplist-folder-All-Posts-584 Article-Article	jplist-topic-Ecessa jplist-topic-SD-WAN jplist-topic-Sdwan jplist-topic-Techonology-Report	0	08/22/2017 10:10:57	Ecessa measured the performance of a customer's individual communication links and the resulting performance of the SD-WAN network. The results prove the value of SD-WAN. Innovative Solutions. Trusted Performance. Intelligently Engineered. 46	jplist-folder-All-Posts-584 jplist-folder-All-Posts-584 White-Paper-White-Paper	jplist-topic-Technology-Adoption	0	07/25/2017 16:55:58	Overview Can a new technology transform a good business into a great one? Many people tend to think so. When a competitor rolls out this or that newfangled technology, it’s hard not to feel envious of their shiny new toy, and anxious about being out-done. New technologies can delight many customers and address many business problems, but technology adoption choices can never be made lightly—and should never, ever be based on the actions or mission of another business. In this paper, we discuss one prominent technology decision-making methodology that can keep your business off the competitive racetrack to nowhere, and on your individual path to success.